It is a high quality PVC Coated Welded Wire Mesh, it is made by hot dippped galvanized after weaving, then plastic coated in the high temperature. It means the welded wire mesh will go through a bath of zinc first, then go through a bath of PVC Coating. 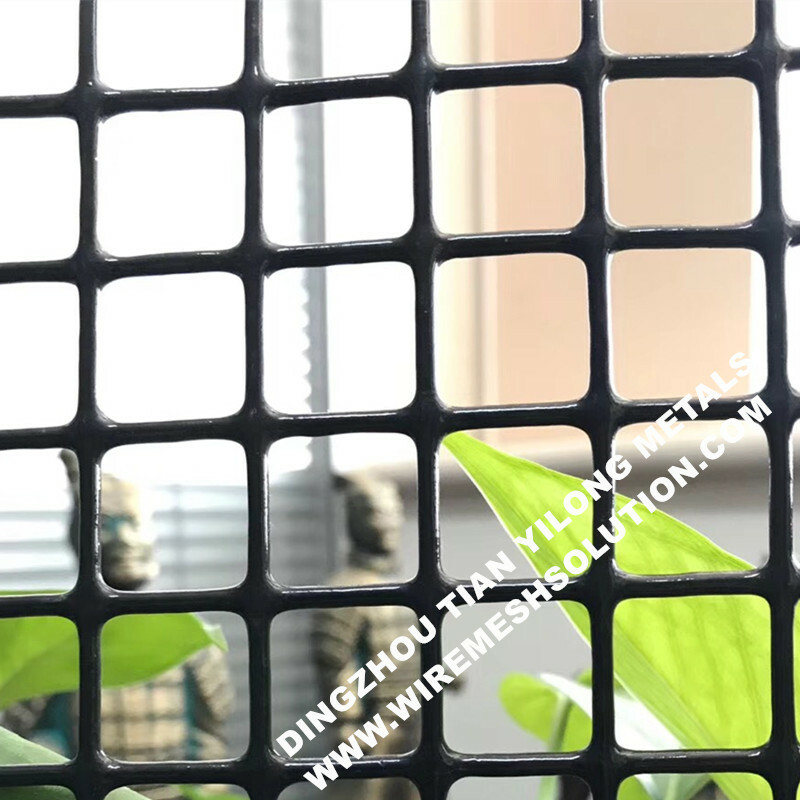 Both zinc and PVC protection will benefit a lot of the welded wire mesh. Pvc Coated Wire Mesh has the benefits of corrosion resistance, rust resistance, firm and strong. This kind of black plastic welded wire mesh is usually for lobsters in US market. With thicker PVC layer, makes the wire netting very strong and protect the lobster from damaged. You could also choose PVC Hexagonal Wire Netting for alternative. You could also choose simple galvanized then PVC coated process, which could save you a lot of cost. Both welded and hexagonal type will be work for you. You could choose which type you like.